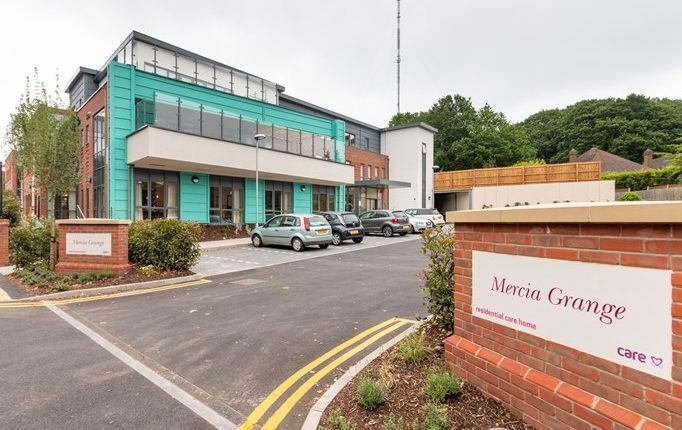 Mercia Grange in Sutton Coldfield in the West Midlands has become the third care home to be opened by Care UK this year. The care home team at Mercia Grange was joined by the Mayor of the Royal Town of Sutton Coldfield, Derrick Griffin, who cut the ribbon alongside the care home’s first resident Raymond Meacheam, and Care UK’s operations director, Geoff Edwards. Mercia Grange home manager, Shirley Gibbs, said: “We were delighted to welcome the Mayor of Royal Sutton Coldfield, Derrick Griffin, to officially open the home and mark this important milestone. We would also like to thank Ray, the residents and everyone who visited and helped make this such a special day. Mercia Grange is a state-of-the-art care home which provides full-time residential, nursing, dementia, and short-term respite care. The new three-storey care home has been designed to enable its 67 residents to live active and fulfilled lives, whilst also promoting their independence. The care home incorporates space for hobby and leisure activities and includes its own cinema, hairdressing salon and café. Care UK development managers expect to open another 18 new homes over the next two years in locations varying from Chester to Woking, Bristol to Whitstable.